WILD KITTEN are a female fronted band from Greece! The Wild Kitten's album contains 7 songs in veins of golden 80's Hair metal with modern sleazy sound! The release will be available in every worldwide digital stores mid December 2013. 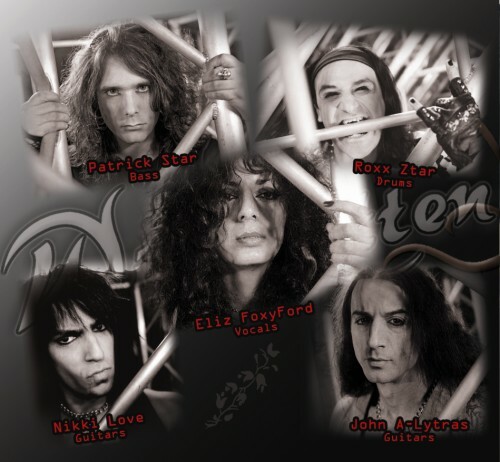 Wild Kitten were created in January 2008 out of love towards the hard rock – hair metal genre by the lead singer Eliz and the guitar player Nikki Love. The band's ultimate goal was the preservation of the magical 80s wrapped in a more modern sound. Since 2008 Wild Kitten have performed plenty of shows all over Greece, participating in festivals, supporting big names from Greece as well as from abroad, while at the same time booking their own shows. Due to the constant live shows they have delayed their debut album which was recently finished and got great reviews! In September 2011 the album was released which included 7 tracks, among which there is a hard rock cover of the 80s disco hit "In the Heat of the Night", originally performed by Sandra and produced by Michael Cretu. 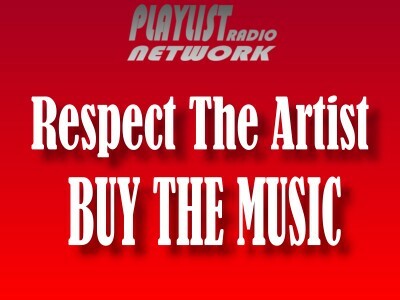 The songs got airplay in radios all over Greece as well as abroad (U.S.A. Texas – Hard rock nights, U.K. - ARfm radio, U.K. –Hard rock radio, U.K. – Phoenix radio, U.S.A. - RSG radio station, U.S.A. – Glued Radio, U.S.A. – Xchamber Radio, U.S.A. – 101.9FoxFm, U.S.A. – RedEarth Radio, U.S.A. - Rock Addict Radio, BRAZIL – B1 FM, IRELAND – SWDCRRADIO, U.K. – Firebrand Rock Radio, GERMANY – Radio Music Box, U.S.A. – Whatever68Radio etc.) and their cover “In the Heat of the Night” remained at number 5 of 1055 Rock Radio Station, one of the biggest rock radio stations in Greece (http://www.1055rock.gr ), for over a month, while the mass advertisement in magazines and blogs has been huge, both in Greece (Athens – Radar Rock, Larisa – Imagine magazine, Thessaloniki – Softmagazine, Thessaloniki – Exostis magazine, etc.) as well as abroad (Rob Evans – writer in CR AOR Magazine, AOR Underground and Powerplay Magazine). At the same time their videoclip of the song “F.U.C.K.” gained 10000 views in less than six months on youtube. After the great success achieved for the compilation dedicated to games in London 2012, DEFOX RECORDS is proud to announce the Rock Music tribute to 2016 Olympic games in Rio! This operation aims to highlight the power, passion and dynamism of Sport, expression like the Rock music! 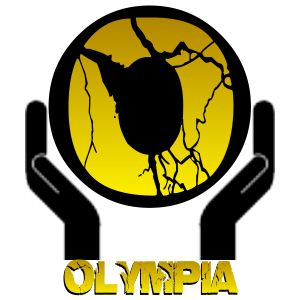 The compilation with Rock bands called "OLYMPIA 2016 (The End Of The Games)" will be published in digital and CD format in July 15. The project will be officially launched in Italy in July with a very important event in a place called Palazzo Valmarana Braga in Vicenza. "Dopo il grande successo ottenuto con la compilation musicale dedicata ai giochi olimpici di LONDON 2012, DEFOX RECORDS di Artisti No Limits in partnership con SPORT NAZIONALE è orgogliosa di annunciare il tributo Rock ai giochi di RIO 2016. Questa Sinergia mira a mettere in risalto i valori, la vitalità, il dinamismo e l'energia dello sport accomunati al vigore, al ritmo della musica Rock. 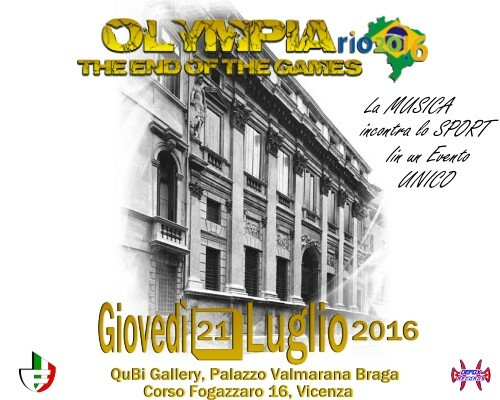 La compilation con Rock bands internazionali intitolata "OLYMPIA 2016 (The End Of The Games)" sarà pubblicata in tutti i dispositivi mobili e nei migliori digital store il 15 di Luglio 2016, su iTunes, Amazon, Google Music, Spotify, Deezer, Xbox...e molti altri, oltre alla diffusione del CD promozionale a tiratura limitata attraverso il web e durante gli eventi." Copyright by Olympia Musica - A.N.L. 2015. Powered by Blogger.